Tarun Chopra, chief financial officer at insurance broker Clements Worldwide, talks to Risk & Compliance Journal about covering companies and their employees for risks including piracy, war and terrorism, kidnap and ransom. 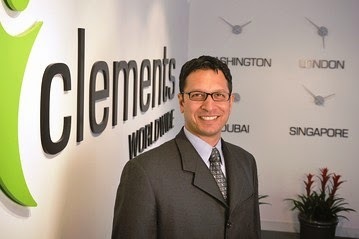 Tarun Chopra, CFO, Clements Worldwide. What kinds of companies are seeking out these types of insurance? Mr. Chopra: What we see more and more are international organizations who run the risk of experiencing severe losses from operations abroad, companies like humanitarian non-profit- organizations, relief and development organizations. On the for-profit side are multinationals like oil and gas or government subcontractors in engineering or construction, or security firms who provide services in conflict zones. Also, international schools that work in different parts of the world by definition have staff and employees exposed to the local environment. We tend to work best with global companies who understand their risk profiles and have a good understanding of their own operations and provide us detailed information about their employees and assets. What kind of information are you seeking from clients? Mr. Chopra: What is the profile of the company, what regions within a country will they be working in, as there could be conflict zones and safe areas. What kind of activities are they undertaking so we can assess–is it just property at risk, or property and employees? What other assets, like if they have vehicles moving throughout the region. All that is type of information is needed. In what parts of the world are you seeing an increase in business? Mr. Chopra: Africa, we’ve really seen increased demand from development and aid organizations as well as companies in mining and oil and gas. We have seen risk coverage premiums double since 2011 and in terms of the number of companies, they have more than doubled. We have a lot of smaller aid organizations making inroads into Africa from a client perspective. The other big area is the Middle East, where demand has been consistently high in the last decade, particularly in the reconstruction, shipping, transit and cargo areas. What has changed is there used to be a lot more security work going on…now it has transitioned into construction and rebuilding efforts and the security associated with that. Demand hasn’t gone down, it’s just the nature of the industry has shifted a little. How have premiums changed in this space? Mr. Chopra: Demand for this coverage goes up when a particular incident happens, and that is probably the worst time for any company to be thinking about insurance. This week’s bombing in Nigeria created demand for insurance like personal accident, political violence, war and terrorism and other lines. When companies look at an incident like that it is more often after the fact they realize they need better insurance, and then it’s too late. How do compliance issues factor into this? Mr. Chopra: Ideally, if going into a new country they are expected to be compliant with the local regulations. Having said that, the compliance piece is very complicated. It is ever changing and that’s where it becomes challenging, making sure they are fully covered. In some cases it is dictated by the local authority and what the minimum level of coverage an organization is expected to have. As long as a company maintains that minimum level of coverage they are covered. The challenge comes when the rules are not clear, then we have to figure out what kind of “compliant” set of coverage they need. Mr. Chopra: By virtue of writing business in over 170 countries we are well versed with rules and regulations at a very general level. There are instances when we will not have all the in-house expertise and then we reach out to subject-matter experts. If we do that we make sure we have an opinion on file so we are covered and the clients are covered. We want to do the right thing for clients and make sure they are well protected, not just from an insurance standpoint but from a compliance standpoint. If they can’t conduct business in a conflict zone then we don’t get their business in that conflict zone. Another thing we always preach to our clients is to embrace compliance. It is always better to have a good understanding of what the particular set of rules are meant to achieve, that is what we strive to understand. I wouldn’t say in all cases we know the answers, and at that point we make a best-guess estimate based on past history and any additional resources we can count on. What are some trends that could change this market in the future? Mr. Chopra: One trend all companies should be aware of is the risks from political violence. These are more and more frequent, including the flash mobs in London recently, the speed with which they happened and the extent of damage they caused. There is more instability in the world, and therefore more likelihood of political violence. Another point is in terms of businesses and their approach to compliance and risk management. If it is a run-of-the-mill company it tends to follow the economist view of compliance. Economists talk in terms of maximizing function—the value of a company—and everything else is a constraint. They see compliance as a constraint. But if it is a well-managed company with a world-class approach to insurance risk management, they embrace compliance and make conscious efforts to create strong risk management programs. Risk management is a complicated, time-consuming effort that demands a lot of resource commitment, but it pays off in the long run.